IPC Shopping Centre, the neighbourhood shopping destination is proud to unveil their ‘Keriangan Aidilfitri’ theme, in conjunction with Ramadan and the coming Hari Raya celebrations. From now until 24 June 2018, shoppers will be captivated by giant and interactive displays of old-school Malaysian games at every corner of the shopping centre. In conjunction with Ramadan and the coming Hari Raya celebrations, IPC Shopping Centre transformed its centre into a playground of giant and interactive displays of old-school Malaysian games, such as a giant "Congkak". The whole centre has transformed to a playground consisting of a giant “Congkak”, “Chapteh”, and “Batu Seremban” (five stones); enticing visitors to experience the fun and entertaining side of games. At the main concourse, the giant congkak standing at two feet tall and eight metres wide, serves as the centrepiece among the lively traditional decorations textured with wood and batik cloths. Beyond the concourse, visitors will be able to find giant games scattered around Level 1 and Level 2. 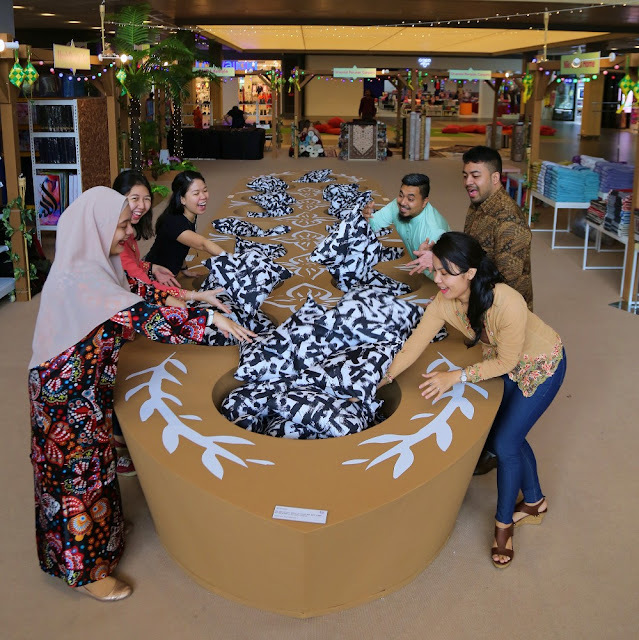 Visitors will also have the opportunity to browse the various pop-up stores, take part in the weekend workshops such as batik painting, fabric ketupat folding, and get into the festive mood with traditional Malay dance and “Angklung” music performances. “This year, we wanted to give the community a good old-fashioned Raya celebration. We spend so much time on our phones that we seldom interact with our loved ones during the festive season anymore. 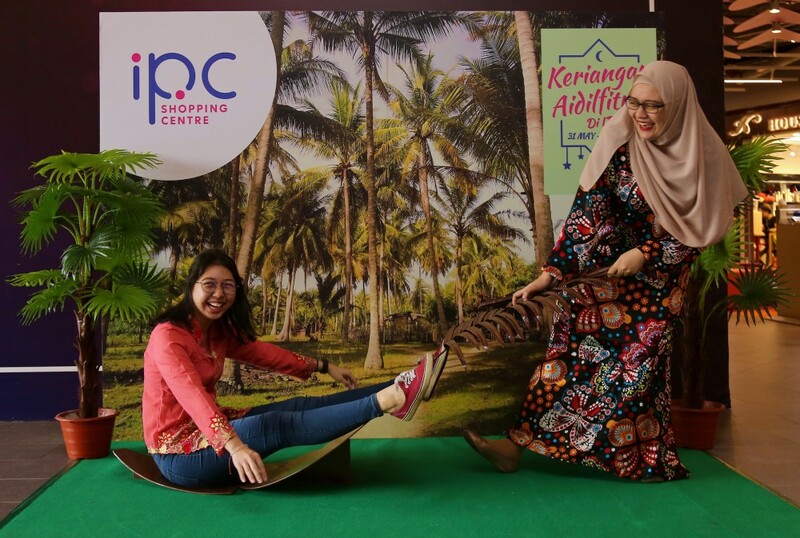 With Keriangan Aidilfitri, IPC hopes to bring back some nostalgic fun that can beat any mobile app and bring families together again.” Eleanor Lo, Marketing Manager of IPC Shopping Centre commented. During this period, shoppers will also be rewarded with Raya surprises every time they spend at IPC Shopping Centre. · Win an iPhone X & RM1000 IPC Raya Shopping Voucher | Get one entry with a minimum purchase of RM200 in a single receipt. For more information about IPC Shopping Centre’s Keriangan Aidilfitri celebration and its list of Raya activities, visit www.ipc.com.my. Malaysia’s first shopping centre anchored by IKEA, and the first of many shopping centres in IKEA Southeast Asia’s portfolio in the region. A sub regional Shopping Centre strategically located in the heart of a mixed development of offices, hotel, commercial centres & residential, it serves as the neighbourhood shopping destination for the community, complementing the shopping hub in the district known as Mutiara Damansara Commercial Centre. We opened our doors in December 2003 and today we welcome an average visitation of 15 million visitors per year to our Centre.